As the movie you are assisting your brother in directing nears completion, your dreams of stardom are at your fingertips. Suddenly a fatal accident threatens everything. Can you keep your head when no one else can? Your brother is directing a revival of a long abandoned unfinished project. Things take a horrifying turn when your fiancé, playing the villain, is framed for murder and kidnapped! • WAS IT AN ACCIDENT OR MURDER? In the final climatic scene, the leading actor is killed by a prop gun loaded with live ammunition! Was it just an accident, or is there a killer working behind the scenes? • AN ESCAPADE OF A LIFETIME! You’ve been thrust into the spotlight of a murder mystery! 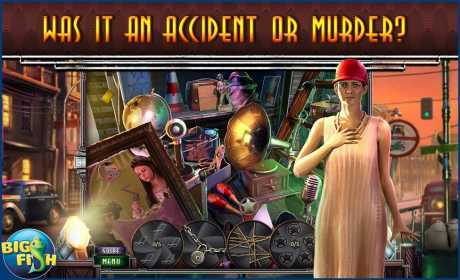 Search for clues within hidden object scenes and rely on your wits to solve challenging puzzles and mini-games! 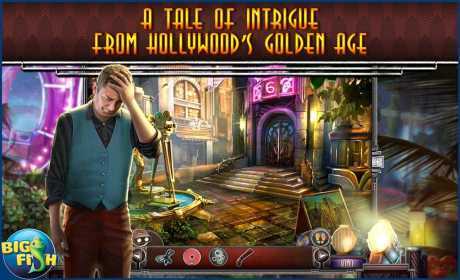 • LEARN THE TRUTH BEHIND THE CURSE IN THE BONUS GAME! There are 40 hidden film strips for you to collect throughout the game. 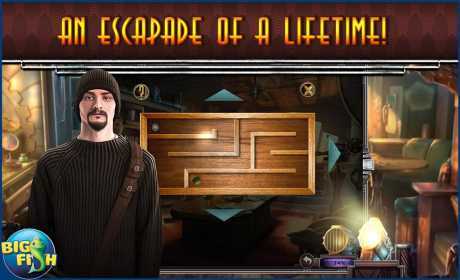 Then enjoy the Souvenir Room where you can watch making-of videos, enjoy beautiful wallpapers, and replay your favorite puzzles!